I Love Wyoming Public Radio is an initiative to raise awareness for Wyoming Public Radio in Wyoming. You can be a big part of this initiative and help WPR. All it takes it a minute of your time! It's simple; just think what it is you appreciate about Wyoming Public Radio and fill out the form below. We include these testimonials as support material for grants and other instances where strong community engagement is needed to show Wyoming Public Radio's value to Wyoming. This is very important to Wyoming Public Radio. Granting organizations, as well as state and federal entities, want to know that their resources are being spent on a service that people value. This is where you come in. By making the testimonial you show that you value Wyoming Public Radio. Wyoming’s I Love Wyoming Public Radio grassroots initiative works in conjunction with the national Protect My Public Media initiative. You can participate in this broad initiative as well, and check out national activity in support of public broadcasting. 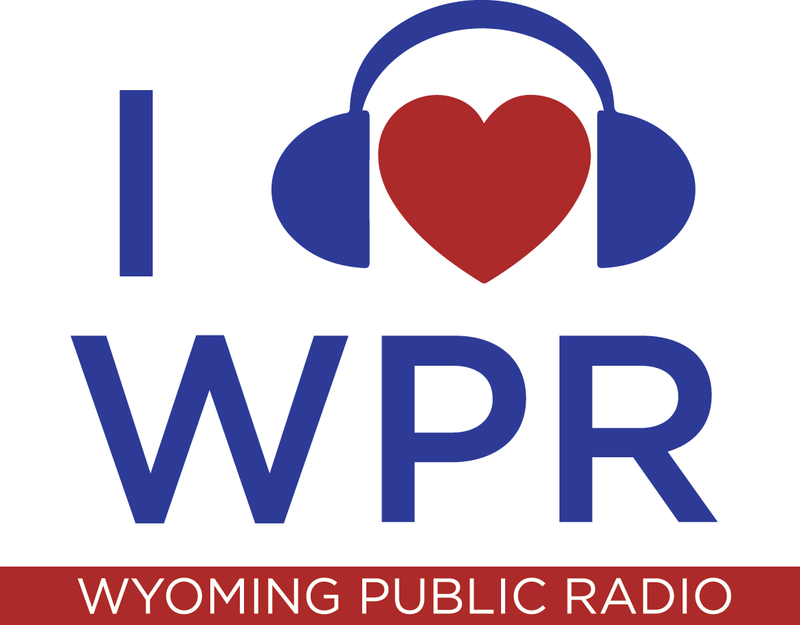 Join fellow listeners, community leaders, city and county officials, Wyoming celebrities, and all friends of WPR and provide YOUR testimonial, recorded or written, reflecting the benefits of Wyoming Public Radio to you. We welcome your support! Listen to past testimonials below. Or browse our A-Z list of testimonials. My name is David Shelles and I live here in Cheyenne, Wyoming. When I moved from Davenport, Iowa to Laramie, Wyoming in December of 2008, of course I had the privilege of driving Interstate 80 across Iowa and Nebraska. On the second day of my trip, I crossed the border from Nebraska into Wyoming at Pinebluffs and of course I started messing with the radio and it stopped on 91.9 and I heard Pat Gabriel's voice and that's actually kind of when I knew I was back home. My name is Gretchen Wheeler, this is Casper Wyoming. I probably really became addicted about four years ago. I listen to it every single morning coming to work and every single evening going home. I just love the special interest stories that they have on it, I love the little tidbits. Susan: My name is Susan Anderson. I grew up here in Evanston Wyoming. Josh: My name is Josh Anderson and I also grew up in Evanston. Josh: It was probably about ten years ago, when I met you, you were always listening to public radio. Susan: Specifically in the morning. That's my routine. Josh: Turn it on in the morning, make some coffee, that kind of thing. And I remember going, ugh, I can't stand public radio. My name is Claire Dunne, I live in Worland Wyoming with my husband Richard Dunne, who’s also an NPR listener, and I’d like to tell you story of how we first found Wyoming Public Radio. We moved from a city to a farm in Manderson Wyoming in 1984 and for a year we couldn’t get any NPR reception. My name is Emiline Ostlind, I’m from Big Horn Wyoming. I grew up in Wyoming but I’ve lived out of state a couple of times. I spent a little over a year in Washington D.C. and when I lived there I would stream Wyoming Public Radio online because I loved hearing the weather in Pinedale, and just little snippets of information, and underwriting statements from businesses I recognized. This is Pete and this is Lynn Simpson. Lynn: With Wyoming Public Radio we can participate as members of the world, as members of our nation. We can be informed; we have access, what is happening in our lives as Americans. Pete: It isn’t shrill, it’s reasonable. And in a world of shrillness and sharpness and sound-bites, point is there’s language. There’s depth, there’s reason. This station, this connection, does not abandon reason or thoughtful consideration. My name is Ed Barbier, I’m from Centennial Wyoming. When the Venezuela President Hugo Chavez died, I was driving to Laramie with my daughter; we were driving from Centennial to Laramie.